Learning management systems (LMS) are ever changing to meet the growing needs of businesses and customers. With these new trends and innovative developments, your business strategy will also change. You have the capability do more and utilize the LMS in different ways before. Running a franchise takes a significant amount of work and time. It can also be costly to start and maintain. Fortunately, a learning management system (LMS) can help you improve your franchise. Here are five approaches you can take with an LMS. Top franchisors today know that providing continuous and consistent training to all the franchisees creates a perfect brand image and recognition. Franchises have numerous challenges when it comes to training new franchise owners and their staff. For large corporations, they may have hundreds of stores under the umbrella of the company. Even one small change can have a significant impact. A learning management system (LMS) can make training and reporting more efficient. If you’ve never considered utilizing an LMS for your franchise, you may want to consider the benefits. When you create courses and other learning material for customers and put it online, you expect to make money. You anticipate major interest as everyone seeks to learn whatever the course is designed to teach. The truth is you can have the most important knowledge to share and it won’t sell if you make some big mistakes. Here are seven common mistakes and how to avoid them. You may be looking at eCommerce learning management systems to enhance your business. You’ll find a variety of products, each claiming to be the best. Many of them offer numerous features, which can make the decision quite confusing. Here are five features you will want for your eCommerce LMS. A learning management system or LMS can enhance the success of any business. When you incorporate eCommerce into it, the potential for increased profit and efficiency are endless. There are many ways you can utilize your eCommerce LMS, but here are five to help your business be the best it can be. A learning management system is an effective platform to help you sell your training courses. It can enhance your business in so many ways. If you’ve never considered putting your courses on a Learning Management System (LMS) platform, think about these six benefits. As you consider using a learning management system for your employee training, you’ll be looking at various features to make it work for your organization. Do prospects know what your eLearning company stands for? Are you laying a solid founda-tion on which to build customer loyalty? In this article, I’ll share 8 tips to create a successful brand image for your eLearning company. No matter what industry your business is in, you are required to keep your employees up to date on certain policies and procedures. It may be something as simple as OSHA regulations for maintenance workers or more complicated training in the finance or insurance industry. Hiring a new employee is expensive. Replacing a former employee with someone of equal qualifications is even more costly. Statistics range from $4000 to over $9000 on average, according to the Small Business Chronicle. learning management system (LMS) can be beneficial for your company. You can create online courses and training which allows the employee to complete the work whenever it is convenient for them. The learning methods in the digital went through an abrupt shift, thanks to elearning. Those times are long gone when trainers used to solely rely on the “face-to-face” approach to impart training to their audience. An eCommerce enhanced LMS is the perfect tool for delivering your courses online. For those into e-learning, using and adapting to various Learning Management Systems(LMS) is a given. A Learning Management System(LMS) is a necessary tool for today's growing (and fully grown) businesses. With growing global competition, it has become more important for organizations to reap maximum benefits out of their employee training process. In the digital era, there is a cut-throat competition between companies to remain at the top. In this scenario, implementing a learning management system (LMS) is a wise decision by any organization, to keep its employees on par with the industry demands. Around 40 percent of training organizations in the US own a Learning Management System (LMS). A Learning Management System(LMS) is a necessary tool for today's growing(and fully grown) businesses. A cloud based Learning Management System (LMS) is a simple, centralized, and cost effective solution to your employee training process. 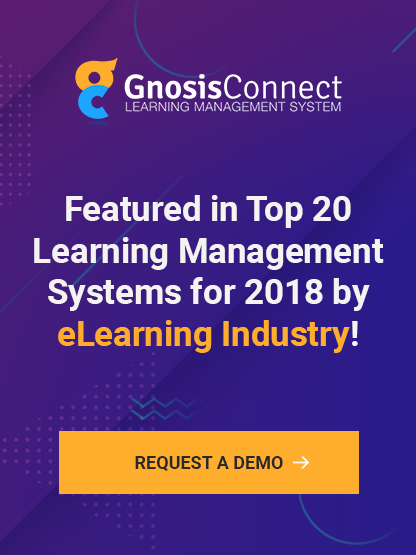 With so many changes underway in today’s fast-changing world, the Learning Management System (LMS) has become critical to organizations that are trying to keep employees current on everything. Feroze Mistry started The Misty Tree Café a decade ago. With each passing year, his business expanded and today he is the proud owner of 20 cafes employing over 200 employees.